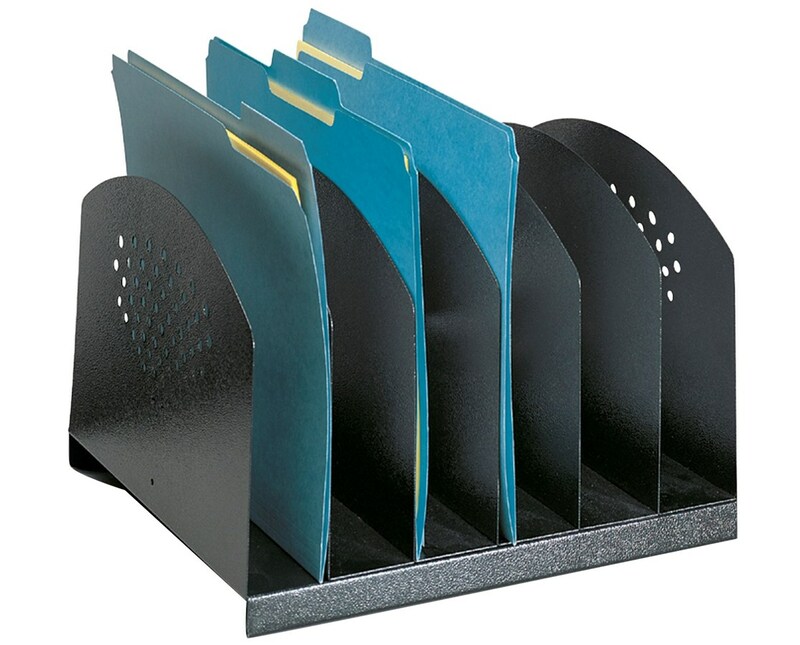 The Safco Steel Desk Rack with 6 Upright Sections is a sturdy desk organizer for keeping a clean and sorted work desk. It has seven panels that make six two-inch wide upright sections which make it great for a large number of files and documents. The end panels have decorative designs for a stylish look. The rack’s size makes it great for any desk perfect for any work setup. Also included are rubber feet to prevent the rack from easily slipping and to protect the surface from damages. 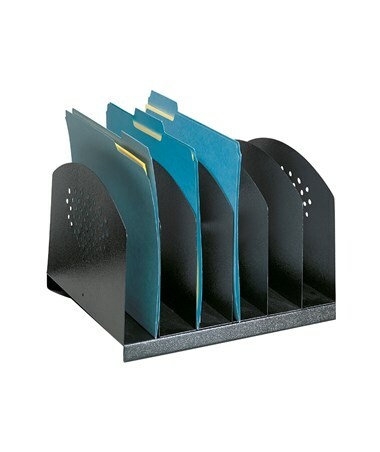 This desk organizer is made of 17 gauge steel with a black powder coat finish. It is safe for indoor use as certified by GREENGUARD.